A full decontamination wash is given to your exterior with special attention to everything (i.e. inner and lower door/trunk jambs, rocker panels, mirrors, wheels, front grill, etc.) This thorough cleaning removes all debris from any cracks and crevices of the vehicle, including anything embedded in your paint’s clear coat. 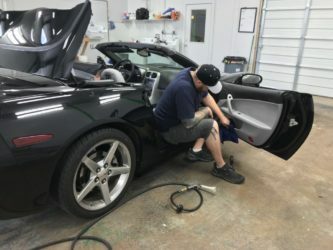 Wheel wells, tires, any moldings, as well as the engine bay are given a UV protectant to prevent against any drying and cracking, with a not too glossy finish. A clay bar treatment removes embedded contaminants and road grime from the clear coat. A 6-month car wax, that bonds to the clear coat, is then applied for protection and shine. Exterior glass surfaces are left streak free and crystal-clear. 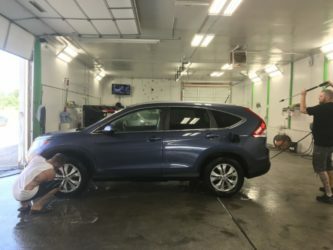 A thorough vacuum throughout the entire vehicle is followed by compressed air to get in all those tight spots that may be hard to reach with your run of the mill vacuum at the car wash. (i.e. radio dash, center council, steering wheel, vents, shifter, rear deck, etc.) 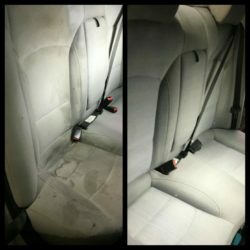 All carpets and seats are shampooed, and stains extracted if necessary. Mats are pulled for deep cleaning. All vinyl surfaces are cleaned then conditioned with a UV protectant. All interior glass surfaces are left streak free and crystal-clear. 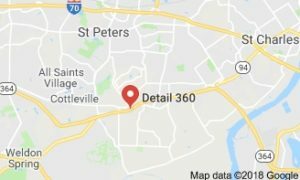 For a 360 clean, receive a professional interior and exterior detail for your vehicle. Description above in separate packages. 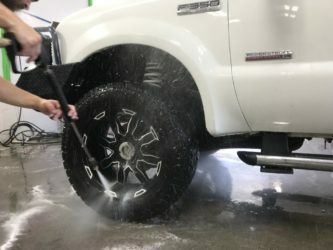 An efficient and professional grade hand wash, top-to-bottom. Includes wheels, wheel wells and door jambs. Finished with an Optimum 6-month sealant and Opti-Bond Tire Gel. The fluff wash also includes a top vac and quick wipe down.